Welcome to Andrew Hawkins Racing! Hi everyone, my name is Andrew Hawkins. I’m 20 years old and I’m studying journalism at Charles Sturt University’s Bathurst campus. Horse racing is my life, it is a passion of mine. Each day, it dominates my thoughts. I have decided that I want to work in racing when I finish uni – whether it be as a journalist, an owner, a breeder, an administrator, I’m not sure. I just know that I want to work in racing. Unlike many in the racing industry, I wasn’t raised in a racing family. While my family would get excited every Melbourne Cup day, the other 364 days of the year racing was foreign to me. I remember that my first bet was on Might and Power to win the 1997 Melbourne Cup and I remember the thrill I felt when he held on to defeat Doriemus by a nose. But I didn’t attend my first race meeting until I was 10 and the only reason I went was because my mother was invited there. I didn’t go to another race meeting until I was 16. However, the first notion of an interest came in 2001, when I pretended to fall ill in the middle of a school day just so I made sure I was home to see the Melbourne Cup. In my first year of high school in 2003, I ran a Melbourne Cup sweep amongst all the Year 7′s, hoping to get them as excited about the race as I was. Incredibly, however, I only really started to get into the racing industry as a whole in 2006. Inspired by the amazing feats of Makybe Diva the year before, I started to take more notice of the entire industry as opposed to just the major spring races. That year I joined an online racing forum, where immediately my knowledge grew, and I also started to go to the races regularly. 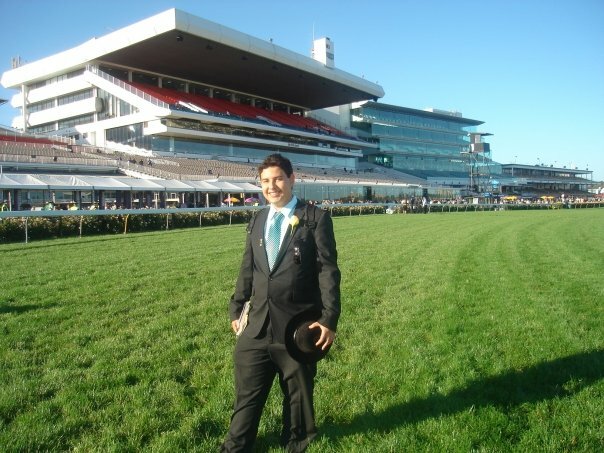 I attended my first Melbourne Cup (I’ve now been to four of the last five, the only exception being 2009) and I started talking to people in the racing industry who would be able to help me. In 2008, I joined corporate bookmaker Centrebet as a trainee junior form analyst as a gap year job between school and university. At that time, I was considering not going to university and just entering the racing industry. However, when I was offered a position at Charles Sturt University at the end of 2009, I accepted. It seems hard for me to believe that I’ve only really become interested in racing in the last five years, because I feel like I have a lifetime’s worth of memories, stories and knowledge. I currently write for a new racing website called Just Horse Racing (www.justhorseracing.com.au), run by a friend of mine, Morgan Payne. Last year, I also organised a syndicate of ten of my friends to buy a 10% share in a Testa Rossa filly named Royal Orchid. She is now a three year old and is in training with Marc Conners at Warwick Farm in Sydney’s south west. 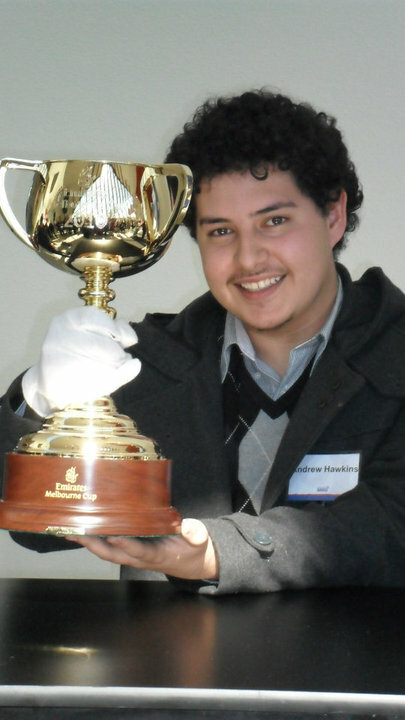 I have started this blog for three reasons – firstly, I want to try and find the 2011 Melbourne Cup winner and so I’ll be posting all the information about the 2011 Cup – in particular, trying to throw the spotlight on potential runners. Secondly, I’ll be posting my JHR articles here for you to read. Third, I’ll give my opinion on certain issues in the racing industry, and hopefully I can get some discussion about some of my points of view. Thank you for reading my blog. If you have any questions or comments, please feel free to email me.